Replace hydraulics to eliminate messy leaks and increase system performance with the new RSX family of extreme force electric linear actuators. These actuators are more efficient and offer increased precision compared to hydraulic cylinders. Reliability: Planetary roller screws are utilized for a long, consistent life. Usability: More Efficient and Flexible when compared to hydraulic cylinders and being capable of up to 50,000 lbf. Applications: Designed and tested for 100% duty cycle the actuator's applications include pressing, punching, stamping, riveting, fastening, joining, injection molding and sawmilling. 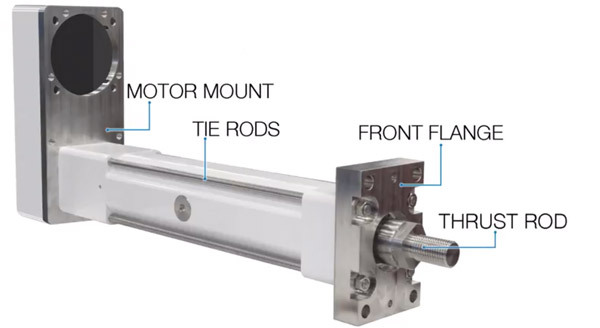 Tolomatic's reputation for innovative linear motion products is earned daily through the efforts of their engineering, operation, and sales associates. Over 35% of their business comes from non-cataloged product solutions. In applications ranging from bottle capping, packaging, material handling to robotic resistance spot welding, Tolomatic's products are hard at work.